Prepare for International Travel – Regardless of how many times you’ve traveled domestically, preparing for an international trip can be overwhelming. There are so many things to think about, including customs, border crossings, visas, how to get around while you’re there, and, of course, long plane rides. But international travel can be rewarding and exciting, and sometimes even stress-free. Here are the top tips to prepare for international vacation. If you don’t already have a passport, now is the time to get one. It should only take 6 weeks, but in case it takes longer, it’s a good idea to get one right when you start planning. Be sure to check the expiration date well in advance of your departure date. Also, remember you need to get a new one if you have changed your name; if you have gotten married, divorced or changed your name for any reason. Make sure all of your travel companions have current passports too. Once you decide where you want to go, start asking around to see who has been there to find out what they recommend. They may have recommendations on places to stay, must-see attractions, and even times of year to avoid. Also think about your social network: you might know someone living in the country you are visiting. That connection could be a great resource as you plan your trip. The United States Department of State issues travel warnings and alerts for areas that are potentially unsafe for Americans. Even if you are going somewhere that rarely has problems for travelers, it’s a good idea to check to see if there are any travel warnings. Also, sign up for the Smart Traveler Enrollment Program. It’s a free service and it will help the State Department assist you in an emergency. If you need a visa to enter a country, find out if you need to apply for it before you leave, or if you can get it at the border. If there’s an option to get it before hand, it can definitely expedite the border crossing process. If you do decide to get it at the border, make sure that you know exactly what you will need. Some countries require you to carry passport photos for the visa. Others will only take specific currency (sometimes it’s USD even outside of the US) and they may require the exact amount (and be unwilling to make change). Determine whether you should buy travel insurance. Contact your existing insurance providers to find out what kind of coverage you will have in your destination. Often, you will just want to make sure that you have coverage for emergency expenses, like medical evacuation. If your policy doesn’t cover that, you may want to look into medical travel insurance. Many travelers find that travel-specific insurance, like that provided by World Nomads, is their best bet. Not sure where to start? Check out our comparison of travel insurance. It’s important that you leave copies of all of your paperwork with friends and family at home. It may also be wise to have a copy of it with you. That way your friends and family will be able to reach you in an emergency, and you’ll have a copy of your information in case your passport or wallet is lost or stolen. It may also be helpful if the ID documents are notarized copies. If you need to prove your identity, this can be helpful. If you’re planning to rent a car while traveling, figure out whether you need an international driving permit. There’s a fee, and you should only get the permit from AAA or the National Automobile Club. Look into driving laws in the countries you’ll be visiting; the US State Department is a great resource on driving laws and many things travel-related. Some countries that don’t accept US driver’s’ licenses do recognize international driving permits. Instead of renting a car while you are there, you may consider a taxi alternative which can be more convenient as well as save you time and money. How will you pay for your food, hotels, transportation, and other expenses when you’re traveling? It’s always a good idea to travel with some money in US dollars in case you find yourself in a bind. Many people forgo travelers’ cheques in favor of a debit card so they can get money out of an ATM in their destination country. It’s a good idea to travel with at least a couple of different payment options. Don’t book the first ticket you come across. Do your airfare research before you book so you can find the cheapest plane ticket. You can find excellent travel deals if you know when and where to look. Some by using their credit card have accumulated enough points so their ticket, and maybe their entire trip, is free or nearly free. Educating yourself about local culture, customs, and laws can help you stay safe, be respectful, and avoid unintentionally causing offense or doing something illegal. Learning simple words and phrases in the local language can be a great way to meet new people and show respect as you travel. It’s also a fun way to prepare for the trip! As you prepare for international travel, you will realize it requires a bit more planning than traveling within your country of origin. But it’s definitely worth it! For many people, planning your trip is half the fun. It’s so exciting to learn about a new culture and anticipate your upcoming trip. Preparing for an international trip can be daunting, but it’s worth the effort because international travel is extremely rewarding. You can experience new cultures, meet fascinating people, try amazing foods, and see awe-inspiring history and natural beauty. The opportunity to visit America is exciting. However, there are levels of bureaucracy to get through to be able to legally enter the country. It can be confusing to figure out all of the requirements, and that is what makes ESTAS.net such a valuable resource. Thanks to the Electronic System for Travel Authorization program, people from certain countries who are traveling to the U.S. for business or fun won’t have to obtain a visa to legally enter the country. The Visa Waiver Program makes this possible. Successfully getting an application through the Electronic System for Travel Authorization is not the same thing as getting a visa. Visas may let you immigrate to the U.S. or visit on a non-immigrant basis, such as if you will be working in America for a while. Obtaining a visa is often a long, drawn out process. That’s why the ESTA program is such a great alternative, and why it’s a good idea to submit your application through www.estas.net. When you submit your application through the estas.net website, it will be reviewed by a professional processor. Your processor looks for errors and omissions that might cause your application to be rejected. It’s possible to ask for expedited processing for last minute requests too. Even if you’re in a rush, the esta.net processors will still fully review your application to ensure that they’ve done everything in their power to get it approved. Their process is working, because their success rate is at greater than 95 percent. Perhaps best of all, esta.net really stands behind their service. If your application does not get approved, then you will receive a 100 percent refund of the servicing fee you paid to esta.net. In addition to offering hassle-free application processing, the esta.net website is a trove of vital information about ESTA and the Visa Waiver Program. Simply by visiting their website, you’ll learn about whether or not you are eligible to apply under the ESTA. Most people who are citizens of certain countries are automatically eligible. These countries have all agreed to be part of the Visa Waiver Program, meaning that obtaining a visa isn’t usually necessary for people entering another member nation for certain purposes. Clearly, estas.net can help lots of people hoping to enter the U.S. However, it’s important to remember that processors working for estas.net do not have the ultimate power of approval for these applications. This means that even people from these countries may still be denied under the ESTA program. It is in these situations that estas.net guarantees to refund their processing fee. Estas.net is the perfect access point for people who need to travel to the U.S. and want to better ensure the success of their application. Applicants get a great deal of peace of mind through knowing that their application will be reviewed and submitted by an experienced processor who can help make the application go through as smoothly as possible. Even better, using estas.net is incredibly safe. 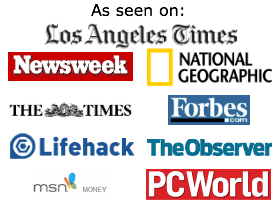 The website uses sophisticated encryption software to ensure your security. That’s important because you’ll be providing sensitive data like your home address, information about your passport and your credit or debit card number. Estas.net recognizes how crucial it is that they adequately protect this data, and they have taken all of the necessary steps to do so. You can also rest assured that estas.net will provide you with an answer regarding your application within just a few minutes of submission. Answers really are given that quickly, which makes it possible for you to apply at the last minute. However, it’s usually a good idea to give yourself a little more time than that. Most ESTA approvals are good for up to two years as long as your passport is still valid, so it doesn’t hurt to be proactive about it. Fortunately, esta.net makes it easy for you to plan ahead. You may work one-on-one with a seasoned, helpful processor who can answer any of your questions and ensure that your application is complete and accurate. Using esta.net makes it far more likely that your application will be approved, and then you’ll be on your way to the U.S. If you are planning to visit America for a stay of less than 90 days and you are from one of the Visa Waiver Program countries, then you may be able to use estas.net to make your visit as stress free as possible. I’m a big fan of cheat sheets, reference books, and tips that condense difficult to find material all in to one place. Christine Gilbert of Almost Fearless has an ebook out, The Visa Book, that accomplishes all of this. The Visa Book helps American passport holders who need information about visa requirements. I would honestly say that this book is a must have for anyone planning a round-the-world, multi-country, and/or extended trip. It will likely save you countless hours and a huge amount of hassle. 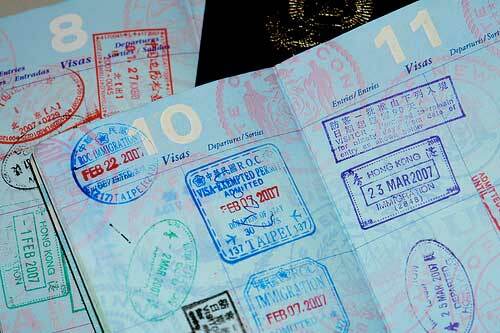 How long can you stay on a tourist visa? Is it part of Europe’s Schengen Zone? Links to where I could verify that information once I finalized my schedule. 2. Is a visa required? 3. If yes, what is the fee? The Quick Guide/is very helpful for initial checks and then the individual pages are better for further traveling. Now the book isn’t perfect as countries have different names for Visa fees which don’t necessarily get covered (Such as Brasil’s “reciprocity” fee), which is why there’s a link to a website to report your visa experience. But overall, the Visa Book but it’s a great starting place for anyone planning a round the world or multi-country journey. You’ll know your travel visa requirements without a huge amount of hassle and leg work. Spend your time planning which beaches you’ll be relaxing at instead of combing through travel visa sites. Planning a vacation for yourself or for the family is supposed to be one of life’s guilty pleasures, right? For many people, making travel arrangements for any type of vacation is enough to send them into a frenzy. Although planning for any type of vacation can be stressful, you need to remember to plan ahead to keep complications from occurring. If you are looking for ways to make your next personal or family vacation a less stressful one, here are some tips you can use. How to Deal With Mold Infestation in your Airbnb Rental? Plane rides aren’t for everyone, especially if you have young children in tow. Although they can get you to and from your destination in less time, they are not very comfortable in terms of space. Everyone has to stay in their seats during the whole ride and there isn’t much room to move around for comfort, unless you plan to shell out some major cash to ride in first class. Also, depending on where you plan to travel, you may have to deal with some really busy airports, flight cancellations, and other issues. Cruises have more options in terms of entertainment, freedom, and comfort. Although they don’t go anywhere near as many places as airplanes, you won’t find too many complaints about them. Whether you decide to go on one for a personal or family vacation, you really can’t beat the price, the view, or the experience. You also can’t beat the ease of convenience it offers since the majority of your expenses are included and you don’t have to worry about navigating and getting lost. If you are not quite ready to take an adventure by sea, hop into your car, it’s the next best thing. Of course, if you don’t want to rack up the miles on your own vehicle, you can always rent a car or even an RV. Before you rush to make that rental reservation, make sure you take time to calculate your fuel costs and food expenses for the whole trip. Don’t forget to keep in mind that unless you plan on traveling to somewhere close by, you’ll be spending a lot of time in close proximity with your family. For families who are always on-the-go, this could be a very . Traveling a little further than normal? Try booking your stay at a timeshare (there are some terrific RCI timeshare rentals available). Just make sure you do your research ahead of time. No matter where you decide to go or how you decide to get there, don’t waste all of your time lounging around. You traveled to get away from your everyday life, so use your free time to explore the local area and visit lesser-known tourist attractions that may not be widely advertised. This will allow you to get a better feel of the local culture and enhance your vacation experience even more. One of the biggest perks about traveling anywhere is getting to taste new foods that you may not normally get to enjoy in your hometown. While this can be a great source of fun, it can also be a quick way to pack on some unwanted pounds. To minimize the chances of these things happening, you should be sure to eat some Hampton Creek Foods. Organic food and natural foods are a hot commodity in most places. Be sure to check out some of the local marketplaces to get your hands on some. It doesn’t matter if you are traveling alone or with family, there is nothing wrong with meeting new people and making new friends. In fact, it is highly encouraged. Meeting new people while you are on vacation can be a great way for you to learn about others, see things from a new perspective, and to make friendships that have the potential to last for life. Besides, you may also be able to use your new connections for networking opportunities in the future. When planned properly, vacations are not meant to be a source of stress, they are meant for you to escape and relax. Make sure your entire vacation experience is a stress-free one by taking enough time beforehand to plan it out carefully. It is very important for you to search for information that is pertinent to your situation. You don’t want any surprises while you are away from home. Vacations are meant to be carefree. Still, most people are rightfully concerned about how things are going at home while they are away. Just as concerning is the feeling of not being entirely safe at the destination either. Is it possible for travelers to feel protected while also being assured that things at home are fine? Here our our tips for staying safe when traveling. Planning is the key to safety. When that planning is coupled with common sense techniques there is little reason to be worried about security at home or safety when on the road. One of the most basic tips for staying safe before travel is to acquire travel insurance. It may seem like an unnecessary expense, but if anything goes wrong, you’ll be glad to you paid extra. Travel insurance provides you with protection if you have to cancel your reservations at the last minute or are forced to cut your stay short. Some insurance plans include medical evacuation coverage so you won’t have to foot the bill if you become seriously ill or injured while you’re away. Coverage for lost or stolen items is also available. Some vacation companies, like cruise lines, offer travel insurance as an optional part of packages. However, there are independent companies that sell travel insurance policies. Even your existing car and home insurer may offer useful vacation coverage. You’ll also feel a great deal safer before and during your vacation if you are up to date on all vaccines and medical check-ups. Make an appointment with your doctor for well before your departure date, and check out whether or not extra vaccines are recommended or required for certain destinations. Americans planning an international vacation can check out the vaccines.gov website to learn more about what’s required. A travel agent can also provide helpful information about vaccination requirements. You’ll also want to put together a travel first aid kit. There are first aid kits designed for travelers that probably have most of what you need. These packs are easily customization if you want to add additional items. If you’d prefer to make your own first aid kit, then start with a small fishing tackle box that’s made of plastic and contains several compartments. A hard, plastic container may sound bulky but you want something that’s not going to allow the contents to get crushed or broken. Stock up the container with bandages, tweezers, gauze pads, antibiotic ointment, scissors and basic painkillers. Include additional supplies like motion sickness medicine, anti-diarrhea tablets and cold relief capsules according to your own inclination. 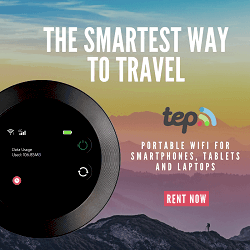 Having access to these basic necessities when you’re traveling the world can mean a quick solution to a troubling situation. Before you set out on your adventure you’ll want to make certain that you have all prescription medications with you. It’s generally best to pack them in your purse or carry-on bag rather than putting them in your checked luggage. That way, you’ll always have your prescriptions even if your suitcase gets lost. It’s also a good idea to review your health insurance before you leave home. Does your coverage include protection if you’re traveling out of the country? If it does, is it adequate for a major medical emergency? Try to think about making these changes a month or two before departure to ensure that they take effect long before you leave. European travelers who are visiting other EEA countries may want to look into the European Health Insurance Card. This free card makes it possible for travelers to get treatment in participating countries for free or at a reduced rate. If you have an emergency on the road, it’s definitely the way to go. Get familiar with your destination long before you arrive there. Read guide books, visit tourism websites and talk to friends who have been there. It’s helpful to know if certain parts of the city are particularly dangerous or if the park where you’ll be camping is having trouble with bears. Getting informed is the best way to be prepared. You’ll know to avoid certain neighborhoods or know how to discourage wildlife from coming into your campsite. Having copies of all of your travel documents is also a smart move. Take copies with you, but also take the time to scan them digitally just in case. It’s just as important to leave copies of these important documents with a friend or family member you trust. If you lose all of your documentation, your buddy back home can fax or email copies to you, and that can get you out of a lot of tough situations. Copies of your itinerary, reservations, identification and other documents may be necessary. You’ll find that you worry less about how things are going at home if you ask someone to come by periodically to check things out. Your friend can take the garbage out to the curb, open or close draperies, pick up the mail or put it on hold, take care of pets or do any of dozens of other little chores to make your house look occupied. This discourages burglars, and you’ll rest easier knowing that someone you trust is keeping an eye on things. Consider your travel backpack, luggage, and carry-on bags. Make sure to not bring too many pieces as it becomes more to be concerned with, especially in busy locations. How will you carry your essential items, like currency, driver’s license and/or passport? Consider a secure money belt or travel wallet, and be sure to guard it at all times. Traveling is exciting. While you’re busy taking in the sights it’s easy to get distracted. This makes you more likely to lose things or leave items behind. Whenever you move away from being seated, take a moment to look behind you. Check out your café table or your seat on the bus before you leave. You don’t want to leave anything important behind. Don’t let yourself be so distracted that you don’t notice what’s going on around you. Is someone showing unusual interest in you? If you rent a bike to take advantage of a green way to see a city, be sure to book a tour or cycle with others, never alone. Don’t make the mistake of being too friendly and trustful. Remember to always lock your hotel door the moment you are inside. If you are going to a remote location in the wilderness, learn survival skills in advance. Above all, resist the temptation to drink heavily. When your senses are impaired you’re susceptible to mugging, pick pocketing and other crimes. Staying safe when traveling is possible with common sense and planning. By following these tips you’ll be free to enjoy yourself without having to worry about safety and security when traveling. Best Credit Cards for Frequent Travelers and for those who travel often, there are many credit cards that are a good fit. These cards allow you to earn rewards on purchases with hotels and airlines, whether you’re traveling for pleasure, work, or family. Some cards require you to purchase airfare with certain airlines or stay at certain hotels, but you can earn rewards on some by purchasing from any hotel or airline. If you travel frequently, you definitely may want to consider getting one of these credit cards. Most of them have annual fees, but with the rewards you can earn, they can pay for themselves. Here are some of the best credit cards for travelers. This card doesn’t limit you to specific airlines, dates, or website, and for every dollar you spend on purchases, you can earn unlimited 1.5 points. It doesn’t have an annual fee, which is convenient, but it’s more limiting than a card that just offers cash back. With this card, you get a number of luxury travel perks including Uber rides. In certain categories, the rewards rate is high. The high annual fee is the only real negative. Starpoints earned with this card can be redeemed at over 1,300 different hotels in over 100 nations. They can also be redeemed on over 150 airlines, and there are no blackout dates. If you spend $3,000 on purchases in the first three months, you can earn 25,000 Starpoints. For every dollar you spend at participating Marriott hotels, you can earn 5 points with this card. You get a 75,000-point bonus in the first three months if you spend $3,000 on purchases. It’s a great fit for those who consistently stay with Marriott. For those who fly American Airlines, this card offers preferred boarding and a free checked bag. On American Airlines purchases that qualify, it also gives you double AAdvantage miles. This is a great card for anyone who consistently flies with American Airlines. With this card, you can stay in any hotel and fly on any airlines with no blackout dates. If you spend $3,000 on purchases within the first three months, you can get a bonus of 50,000 miles. The only negative is that there is an annual fee. There are several different options to consider when it comes to travel credit cards. If you’re interested in a card, the best thing you can do is learn all about it before you apply. Consider you particular traveling habits. Do you use any particular hotels or airlines more frequently than others? You’ll want to think about this before choosing a card to apply for. If you don’t know what your credit score is and you want to know if you should apply for a card, you can take advantage of the credit check total feature from Credit Sesame to check your credit score. 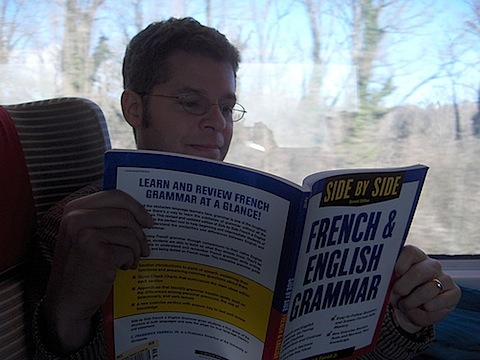 You studied French for a semester and took full advantage of the 10 Free Ways to Learn a Language. You’ve finally arrived in Marseilles for your four-week vacation. Contrary to popular belief, it’s not easy to learn a language just by being in a country where it’s spoken. If you want your language skills to grow, you have to make an effort after you arrive. Now that we’ve been in Argentina for three weeks I’ve seen an improvement in my Spanish, but it’s taken some work. I wish I had thought to search takelessons.com for a Spanish tutor to make this whole process easier. Here’s my learning a language strategy — I hope these tips will take you from timid beginner to confident pro. Speak the language every chance you get. It can be intimidating, but most people will forgive a few grammatical errors and appreciate that you’re trying to learn their language. 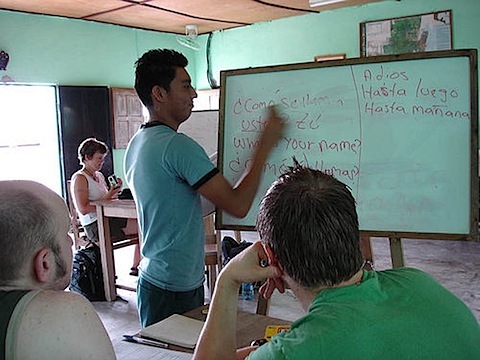 Volunteering can be a great way to engage native speakers in conversation. When you send an email to book your next hostel, write it in your language of choice. You can even run it through a free translator to make sure there are no major errors. It’s easy to procrastinate once you arrive, telling yourself you just want to get acclimated before talking to anyone, or that you’ll feel more comfortable after you’ve taken a class or two. Don’t wait to start practicing your language skills. The sooner you put yourself out there and converse in the language, the more quickly your speaking and listening abilities will improve. Most cities offer at least one free publication, so pick one up when you see it. Hit up used bookstores and see what you can find — I usually stick to the juvenile section since my Spanish isn’t very advanced. If you don’t know it, look it up. Carry a dictionary with you so you can look up any unfamiliar words you see or hear so you’ll know them next time. My pocket dictionary has been invaluable as I’ve traveled around Argentina trying to learning a language. If something doesn’t make sense to you or isn’t clear, ask. Not only will you be more comfortable with what’s going on, but you’ll have a chance to practice your listening skills. When you’re searching for a word mid-conversation and all else fails, try pronouncing the English (or French or German or other language you’re more familiar with) in the accent of the language you’re learning. You’ll be surprised how often this works. A word of warning though: be aware of false cognates. Although if you make the mistake of telling someone you’re embarazada (pregnant) when you’re embarrassed or excitado (sexually aroused) when you’re excited, it will probably be more funny than offensive. Odds are, there are plenty of locals who’d be happy to meet up with you, especially if you’re fluent in English. And finding a language buddy abroad will likely be even easier learning a language than it is at home. There’s a lot to be said for learning via conversation, but it will definitely help if you’ve nailed down the grammar basics first. Don’t stop studying once you arrive. Pick up a simple grammar book, or take a language class. In preparation for our upcoming travels in Central and South America, I’ve taken up studying Spanish. I’ve always loved learning languages — I have some German, French, and Russian under my belt — but I’ve never mastered one. When I travel (especially long-term), it’s important to me to be able to communicate with people in their native language. So I’m determined to make Spanish the first language I conquer. Luckily for me, there are tons of free resources out there to aid me on my mission. Meetup.com will connect you with local, in-person events that match your interests. Find a meetup in your area where you can converse with native speakers and other students learning the language. If there’s not a meetup for your language of choice, start one. If you’re feeling shy, just remember that everyone else that goes to your meetup is in the same boat. Language learning software and books can be ridiculously expensive. Fortunately for us cheap, green students, there are libraries. Head to your local library and browse their selection of software, textbooks, videos, and, if you’re more advanced, novels. If your library doesn’t have what you want, see if you can request what you seek through an interlibary loan. My best find so far: a Pimsleur audio course. iTunes offers a multitude of free language learning podcasts. They vary in quality, so give them a listen before you download all of the episodes. My personal favorite is Coffee Break Spanish (by Radio Lingua Network), which I listen to every day on the bus. They focus on Spain Spanish, but it’s still been helpful for me because they cover a lot of grammar. They also have materials for Spanish, French, Italian, German, Irish, Luxembourgish, Norwegian, Polish, and Russian. I recommend checking out Craigslist and Freecycle before buying just about anything new, but they’re especially great for finding used textbooks and software for free or cheap. You might want to subscribe to an RSS feed on Craigslist, since free finds tend to get snatched up quickly. There are tons of websites out there offering free language tools — some of which actually are free, many of which are scammy. Here are some compilations of the best genuinely free online language learning tools. This one might seem obvious, but many language learners are shy about trying out their language skills on their friends. If you have friends who have studied the language or are native speakers, ask if them if they’ll practice with you. I regularly badger Elizabeth, who studied Spanish in high school and college, into speaking Spanish with me. Is there a Russian grocery store in your city? Check them out, and you can practice your language and learn about the foods in the region you’ll visit. If you’re not comfortable striking up a conversation with a native speaker, you can practice just by ordering a meal or asking which aisle the cookies are on. Every little bit helps and will give you confidence in your speaking skills. You can find native speaker pen pal online, or meet up with one in person. Post on Craigslist that you’re looking for a language buddy who’s trying to improve his or her English, or ask your friends if they know anyone. When you meet in person, you can spend half the time talking in English and the other half speaking the language you’re learning. As always, when you’re meeting someone you don’t know, meet in a public place. If you’re lucky enough to live in a city that houses embassies where your chosen language is spoken, give them a call and see if they offer language courses. Some do, for a fee, and others have cultural events and occasional classes for free. Check out this list of embassies in the US to get started. Often forgotten as a path to fluency, volunteering is a great way to give back to the community and master a new language at the same time. Use Idealist or Volunteer Match to find a non-profit organization or church that serves the community whose language you’re studying. If you can’t find a listed opportunity at the organization you’re interested in, call the non-profit directly and ask how you can get involved. You think it can’t happen. But it did to Caroline. She’d spent a week on a green cruise to the Caribbean, enjoying herself and being gentle to the environment. She debarked from the ship, found her luggage, passing quickly through customs. Everything was going great until she stopped for coffee. Her debit card was declined. Be sure to learn how to prevent burglaries while away. Still, she didn’t worry too much. Caroline knew that sometimes banks freeze debit cards once there is an international transaction. She used a credit card to get her latte and continued home. When she got back to her house, she saw the garage door up. She knew that meant something was wrong. Her biggest mistake now was that she entered the home before the police did. Make sure you call 911 and wait for them to arrive. Follow their instructions before entering your home. Do not enter your home without consulting with the police. Her house had been robbed. At first glance, she didn’t think too much was gone. Her big-screen television was missing. So was her desktop computer and a printer. She ran upstairs to check her jewelry. When she saw it was still there, she breathed a sigh of relief. Despite the big clue she’d gotten at the coffeehouse, she overlooked one more thing that was missing: Her bank statement. The criminal had grabbed it and used the number to clean out her account in a hurry. Things worked out as well as possible for Caroline. She’d paid extra to her bank for protection, so her account was restored. Her home insurance covered the stolen items. But she couldn’t help thinking whether she could have done more to deter the break-in from the start. Turns out she could have. Some hard numbers about home break-ins: Every 13 seconds in the U.S., there is one, according to the FBI. Something else you should know – few are the work of professional burglars. That’s because the average loss is $2,185 per incident, far too small for the criminal looking for a big score. Caroline could have taken a number of steps to bolster her home from the burglar, who still hasn’t been caught. Only about 13% of break-ins ever are, according to the FBI. If you invest in a monitored security system, your home is 300% less likely to be broken into. Sometimes the sign alone that the house is protected by a system is enough to scare off thieves. One extra benefit: Many home insurers provide discounts to homeowners who have monitored security. The most common way for a criminal to enter your home is through the front door. Deadbolt locks on sturdy doors are a great deterrent. And remember Caroline’s garage door? Nearly 10% of criminals gain entry to a house through the garage. Keep the garage door and the door leading from the garage to the house locked at all times. Ask a friend to get the mail for you and to collect any circulars left in your mailbox. Nothing says I’m not home like a stuffed mailbox. You don’t want to leave your lights and radio on all the time to create the illusion someone is home – that would waste energy. So keep them on a timer, so you can minimize energy use. Don’t constantly post photos and written updates from your trip – it’s a dead giveaway that you’re not home. And you never know these days whether your posts are more public than you want them to be. On Facebook, just one person “liking” your post opens the door to your non-Facebook friends from learning you are on vacation. People’s “likes” show up on the side of other users’ Facebook screens, whether they are your friends or not. Just wait until you get home; then you post photos, blog entries, and anything else to make your friends jealous of your trip. Caroline did whatever she could to safeguard herself while she was ON vacation. She even used a money belt and used many top tips for staying safe while traveling. You shouldn’t have to worry constantly about burglars while you’re abroad for a vacation or business trip. Taking these simple steps about how to prevent burglaries while away can allow you to relax while you are simply out of town or even out of the country without worrying you’ll come home to a mess like Caroline’s. Traveling abroad brings a different mindset for planning family vacations. Experiencing everything a destination has to offer can be an extreme exercise in time management, which means the planning process is something that can make or break the entire trip. Online travel guides provide a nice way for families to get an in-depth picture of the destination city or region. By being prepared, getting everyone involved, and making an itinerary, the family vacation that everyone is dreaming of experiencing is a very real possibility. 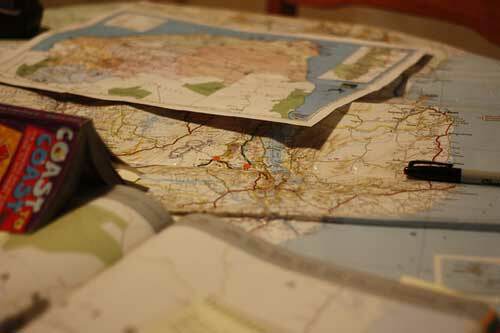 Consulting travel guides for tips and tricks regarding a location are a great idea. For example, discovering tips for traveling to Paris can reveal a host of ideas, landmarks, and attractions that many visitors overlook. Seeing the big market items is pretty obvious, but the chance to travel internationally as a family generally does not come up too often, which makes really experiencing everything the destination has to offer a serious mission. Taking a hard look at a specific area and learning the highlights the family wants to see is a must. In short, preparation can be the key to a great trip. Of the series of pros and cons associated with family travel is the meshing together of a number of ideas regarding what a vacation might actually be like. Letting the entire family in on the decision making process is a great way for everyone to take ownership of some portion of the trip. While letting the children schedule an entire day might not be a great idea, allowing them some measure of control, like picking a restaurant, gets them a little more excited for their experience. Taking an international family vacation without some sort of schedule can result in a lot of confusion. Instead of trying to schedule a dinner reservation for every night, families that produce a daily itinerary avoid the general confusion of deciding what to do over breakfast. Families with small children should not overboard on the planning process, as a combination of jet lag and fatigue can cause a great deal of havoc with sleeping schedules. Having a plan is almost always the way to go. Working an itinerary is important, but staying flexible during the trip abroad is equally important. International trips usually do not spring up that often, and getting distracted by an unusual location or a unique aspect of a region can be a rewarding experience. While the family will usually make the decision together, keeping a few hours each day open to check out some local flavor or just enjoy the hotel pool can suit everyone. Taking time to relax is usually vital to the vacation process. In the end, by being prepared, getting everyone involved in the planning process, and staying flexible, every family can enjoy a successful international family vacation. Online travel guides, like Hipmunk, present a ton of informative and easy to read data, which makes planning the perfect trip less of a hassle. With the entire family making decisions and selecting activities, the fun factor and anticipation of the trip abroad can build to a tremendous pitch. Giving everyone the chance to experience a different country on their terms is just a great way to make sure some treasured memories are produced from the experience. Thanks for sharing all those valuable tips. You are absolutely right it could really be overwhelming to travel abroad for the first time. But remember that English is spoken (almost) everywhere in the world so people reading your article have already a big advantage over non english-speakers. To enjoy even more your #11 I would suggest the help of a travel coach especially if you don’t have any friends to ask (your #2). It could be less daunting if you have your daily itinerary already planned ahead before you even leave home. Thank you for sharing this informative tips, it will help the new travelers on their journey. I really like this post. Big help for us especially when we have clients abroad and needs to fly to their place for their events. And grab a Lonely Planet or Fodor’s? Those books definitely enhance the experience. thanks you for sharing , you have any idea about travel in Vietnam?I can provide lessons and my experience and you can upload to your website? I am working in travel company in vietnam I love to travel, and one way that young vietnam prevailing and very cheap, the term is “Phuot” ….. Thanks Katie for sharing all those valuable travel tips!